SERIOUS FITNESS. SIMPLE EATING. SERIOUS RESULTS. Don’t have much weight to lose, but want to get shredded and have defined abs. WHY DO 21 DAY FIX EXTREME? Need to get seriously shredded in the shortest time possible? See how simple portion control, clean eating, and extreme 30-minute workouts will help you get the hardbody you’ve always wanted. FREE SHIPPING. Limited time only! Exclusive Offer! Get the FREE bonus workout DVD—The Fix Challenge—(a $19.95 value) when you order 21 Day Fix EXTREME through your Coach or Team Beachbody®. Lose up to 15 pounds in just 21 days—then get seriously shredded! 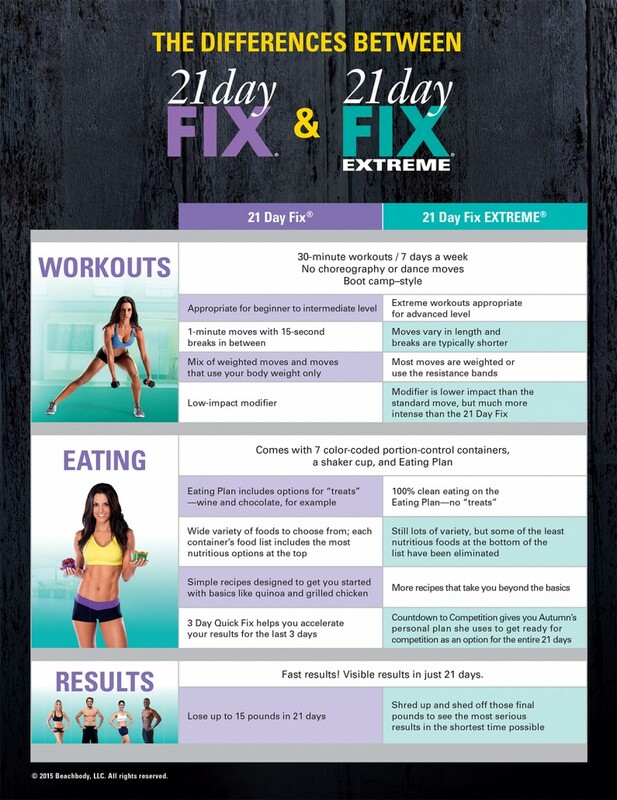 21 Day Fix uses simple workouts and portion control to help you lose weight and get toned. Then 21 Day Fix EXTREME takes everything to the next level, helping you get the lean, defined hardbody you’ve always wanted. Exclusive Offer! 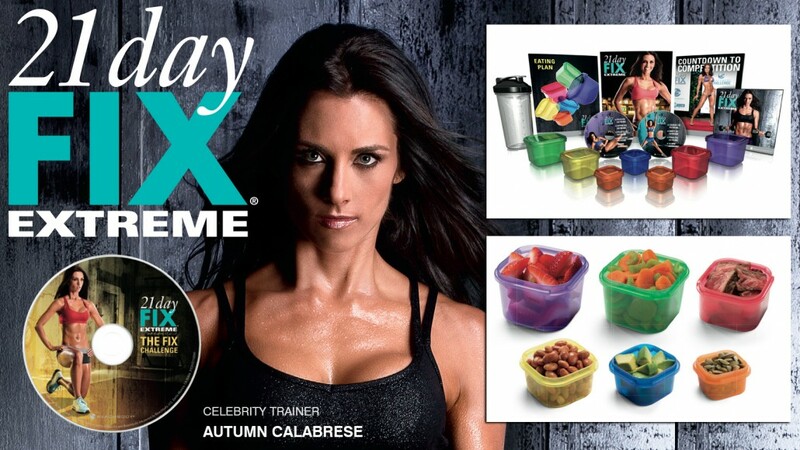 Get two FREE bonus workout DVDs—Plyo Fix and The Fix Challenge—(a $39.90 value) when you order the 21 Day Fix and 21 Day Fix EXTREME Combo Package through your Coach or Team Beachbody®.